Peruvian Foreign Minister Nestor Popolizio told a local newspaper that migrants could also receive a "humanitarian visa" to help them enter the country if they do not have a passport. Venezuelans hurry from homeland, plagued by a worsening economic crisis, while regional governments struggle to cope with one of the biggest exodoses in Latin American history. However, a growing wave of migrant waves has led to stricter border controls in Ecuador and Peru. Ecuador later reversed the course. "Luckily, everything went well and I was able to apply for asylum," 19-year-old Alejandra Osta told AFP as she completed an official form at a border post in Tumbes, Peru. Around one hundred Venezuelans queued in the late morning to go to an office to obtain refugee status, while waiting for border crossers was short. "We've been well received here," said 33-year-old Jose Luis Araujo, a teacher who traveled more than 2,000 kilometers (1,250 miles) to enter Peru with a passport. Peru's move took effect at midnight (0500 GMT Saturday). Thousands of Venezuelans, some of them carrying small children and many walking, hurried to the Peruvian border to bridge the deadline. Poplizio told the newspaper "El Comercio" that the measure was not intended to prevent Venezuelans from doing so. but to make sure that their migration was "better organized and safer". Of the 2.3 million Venezuelans living abroad, more than 1.6 million have fled the country since the beginning of the crisis in 2015, according to the United Nations. The Venezuelan functionary Diosdado Cabello described images of impoverished roadside migrants as "suspicious" publicity stunts of "right". "It seems like it's light, camera, action! "said the head of the government-dominated legislature. He said those who left would" recaptured with open arms "when they return to the" homeland. " "It remains critical that new measures be taken to continue to provide access to security and asylum for those in need of international protection," said United Nations High Commissioner for Refugees Filippo Grandi, on Thursday. Ecuador, which had ended its passport restriction for Venezuelans on Friday, had attempted to help this to Peru by facilitating bus travel and opening a "humanitarian corridor". 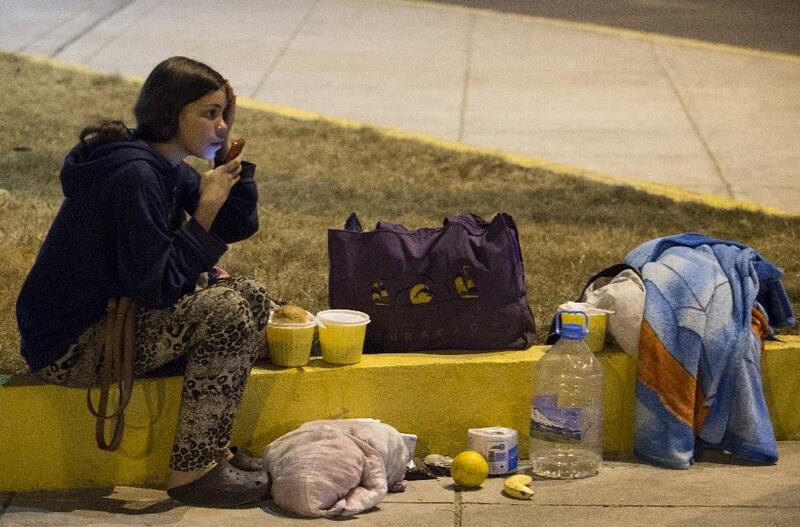 But after the border restrictions came into effect at midnight Some Venezuelans, including engineering student Edison Rivas, gave up hope of reaching Peru. "I I was thinking about going to Peru, but I decided to stay here, "he said, explaining that he gave up his studies and left Venezuela because" I could not buy a pound (2.2 pounds) of rice, let alone had to pay the university ". Others have come through thanks to the Ecuadorian measures. Peru is one of the fastest growing economies in the region with a growth of 4, 7 percent for the next year. But anti-immigrant sentiment is on the increase, and more stringent demands on Venezuelans are supported by the population. There are already an estimated 400,000 Venezuelans in Peru. Popolizio, however, urged Peruvians to "avoid discrimination or xenophobia." The Ministry of Education of Peru set up a special tent, to entertain the youngest children during their long wait. According to the United Nations, up to 4,000 people arrived daily in Ecuador, Peru, Colombia and Brazil, where immigrants were violently rejected by residents with increasing crime. Venezuela is the fourth year in a row recession, with double-digit declines in gross domestic product. According to the International Monetary Fund, inflation is expected to reach one million percent this year.